Bogdan Platon, MA, is a PhD in missions candidate at Andrews University, Berrien Springs, Michigan, United States. I met a young Romanian man, Cosmin, who had a good job as a lawyer in a nice city. Although he came from an Orthodox family, his worldview was soaked in postmodernism. Literature by philosophers like Immanuel Kant, Georg Wilhelm Friedrich Hegel, Plato, Arthur Schopenhauer, Friedrich Nietzsche, and Søren Kierkegaard was bread for his soul. As I related to him stories of my experience as a Christian, it was obvious he was thirsty to find meaning for his own life. This thirst was the starting point for Bible study. Curious, I asked for the title of the talk show and realized that it was a debate about the Sabbath School topic for the week. I was surprised to see how interested he was in spiritual issues. I had captured his interest with simple experiences of faith and discussions about the meaning of life. Thinking about this, I realized that reaching people for Christ involves building creative bridges according to people’s actual needs and mind-sets. My encounter with Cosmin sparked my interest in understanding urban witnessing in the context of the post-modern mind. Taylor points out that even secular humanism is moving beyond simply “human flourishing”2 in its desire for something greater and more fulfilling than mere pleasure in this life. In Taylor’s thinking, beyond this flourishing is the fullness that takes place when a person stands in the presence of God and experiences a conversion of values.3 Could this be the bridgehead for Christian mission, a need to live for God’s glory even in this life? Witnessing to the postmodern person first involves understanding their worldview. Without taking time to approach, and eventually grasp, how they think, what they believe, and why they function as they do, the relationship may fail. Authentic love, involving warm relationships, with no strings attached, is a way to overcome what has been deemed the “hermeneutic of suspicion.”4 I saw signs that my secular postmodern friends, though living life in contrast to Scripture, were looking for some direction. After some time, they found me credible, not because of my pastoral title but because of my Christian care. One stated, “You Protestant Christians have something special—a different type of love.” For them, a real leader is a person who does good for others, even at the cost of personal sacrifice. Just as human beings cannot fully understand God’s truth, so the missional mind needs to admit that it cannot fully grasp all angles of the divine plan. Such an admission can become a pathway to engage the postmodern mind, not with authoritarianism but with the goal of fellowship found in the communal search for truth, followed by the joy of discovery. With such an exchange, there is now a shift from an intellectual to an experiential approach in which the common experience becomes the focal point of a triangular relationship: two human beings, one God. 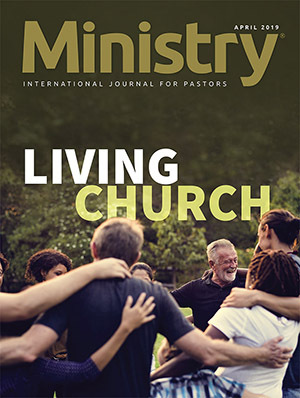 In 1 Corinthians 12:27, the apostle Paul is envisioning a body, a community as “the locus of Christ’s activity”7 and not only of human interaction. Skip Bell writes that “the presence of God, because he is a relational God who fosters community, is intended for a city.”8 City dwellers are attracted to places where warm relationships are created. They are also searching for networks of people with common values, hobbies, interests, or beliefs. Creating such a group, or penetrating an existing one, may not be an easy task, but after a while, a common trust is built that becomes the platform for open discussion and activities. It is important for postmodern people to find a place where they feel accepted, a second home. 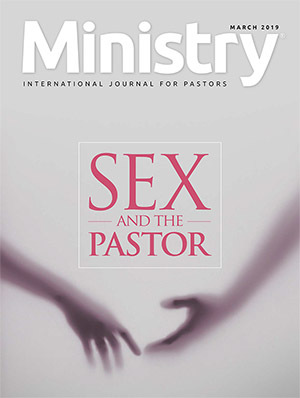 They are searching for both horizontal and vertical intimacy, both with other persons and with God, and they may feel alienated when they do not find it.9 The solution for this need is a warm community, one that is not locked in irrelevant rules or a hierarchy but that is functional in an organic way. Jesus stated clearly that the church “cannot be hidden” (Matt. 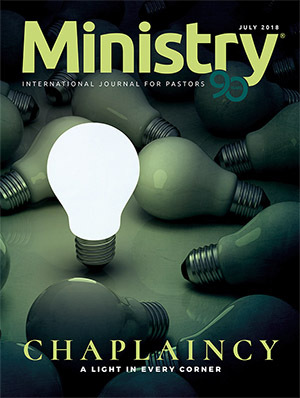 5:14–16, NIV), it needs to spread its light. Even Christian monasticism, at its beginning, started as a movement of serving people in their daily lives. This is the example of the incarnated Jesus: to be among people, dwell with them, and understand their needs, not for a short time but for His whole life on earth. Kleber Gonçalves, speaking about the early church, says that its work was “contextual,”10 being immersed in the culture of their time and developing a mission in their present circumstances. In today’s world, the church should understand the people, places, and worldviews that it intends to change. Stanley Patterson proposes that “we must adopt an incarnational approach that reframes the Word into language that maximizes the possibility of engagement and connection consistent with the platforms upon which their culture is built. What Jesus did for us, we must do for them.”11 To be where the people are, understand what they need, and respond to those needs is what the missional church is called to do. 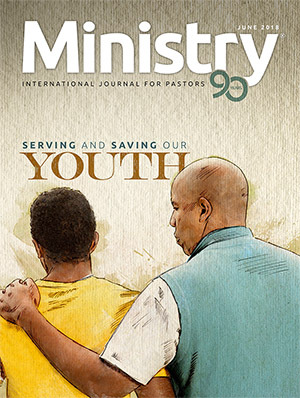 We may develop a social network that will multiply its branches by discipleship training involving the native leaders. These leaders will, in turn, take over the responsibilities thus creating self-sustaining cells of mission. 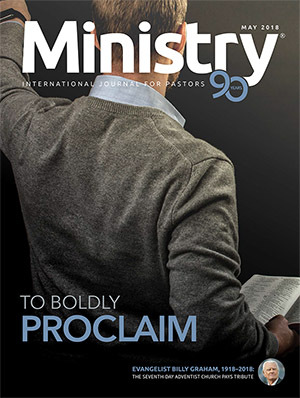 Although developing such a network will require the church to immerse itself in the post-modern culture and worldview, it must do so still bearing the uniqueness of the gospel message but presenting it in a way that is innovative, creative, and relevant. 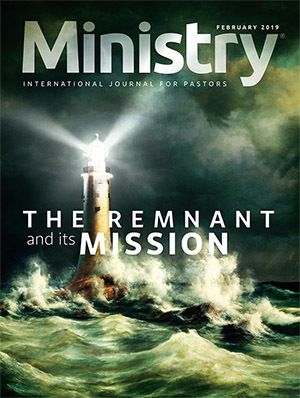 John Caputo writes that “the deconstruction of Christianity is not an attack on the church but a critique of the idols to which it is vulnerable.”12 Jean François Lyotard affirms that the “incredulity towards metanarratives,”13 in general, is the essence of postmodernism, and one thing under the magnifying glass of the postmodern deconstructivism is the Christian metanarrative. As a critique, Christian thinkers argue (and justifiably) that the deconstructionism taught by Jaques Derrida and by post-modernism constitute metanarratives themselves.14 Anyhow, the role of the Christian mission is not so much to put a correct label on postmodernism but to find ways to transmit the gospel message in this context. In spite of the fact that many Christian thinkers claim that “once you deconstruct truth, it is impossible for anyone to speak the truth to power,”15 the Bible says this about God: “In the past, he let all nations go their own way. Yet he has not left himself without testimony” (Acts 14:16, 17, NIV). In other words, these verses show that the barrier of relativism, pluralism, and deconstructivism is not impassable. Speaking about the biblical verse that says that we must “take captive every thought to make it obedient to Christ” (2 Cor. 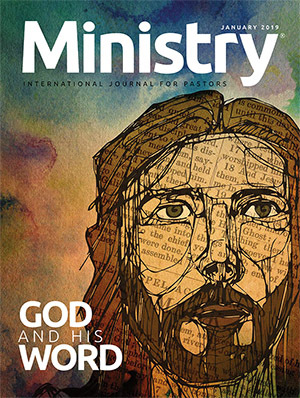 10:5, NIV), Curtis Chang argues that a good strategy is to, first, enter into the other’s story; second, to retell that story; and, third, to capture that story into God’s story.16 Chang stresses that the Christian missionary should focus on understanding the postmodern story before presenting one’s own side. Abigail Doukhan considers the fact that “we find, in the biblical metanarrative, a key to a mode of storytelling which both escapes the pitfalls of a metanarrative discourse and the relativistic/ subjectivistic trap of postmodern storytelling. Indeed, the biblical narrative falls more closely under the rubric of storytelling than of a metanarrative.”17 This is a new perspective, strange from a modern point of view—but pertinent. Many of the Bible’s legal, prophetic, and poetic passages are linked to stories or developed in a narrative context. Richard Sessoms presents a strategy of communication: “this [postmodern] audience often reacts negatively to logical, abstract presentations, tending to distrust ‘truth’ that is expressed propositionally as dogmatic and confrontational . . . 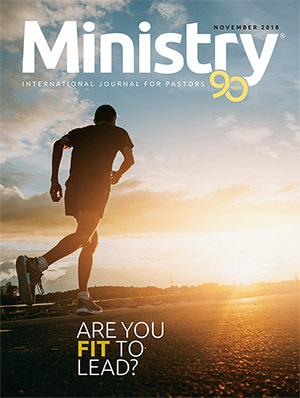 Telling them a story will often avoid this difficulty, for when Truth is embedded in story, people tend to recover their own stories in the light of God’s story.”18 Stories can be used in moral motivation, leadership training, or discipleship formation, and they address each age category. The so-called barriers to Christian mission can, if we are open, bring new opportunities to reach people—people such as my postmodern and urban friend, Cosmin. To see these as opportunities, though, requires a new vision and motivation to research the Word of God to find methods to present the gospel through effective relation-ships adapted to the context of secular postmodernism, which is so prominent in urban settings. 1 Charles Taylor, A Secular Age (Cambridge, MA: Belknap Press, 2007), 19. 2 Taylor, A Secular Age, 20. 3 Stephen J. Costello, “Beyond Flourishing: ‘Fullness’ and ‘Conversion’ in Taylor and Lonergan,” in The Taylor Effect: Responding to a Secular Age, ed. Ian Leask (Newcastle upon Tyne: Cambridge Scholars Publishing, 2010), 39–48. 4 N. T. Wright, Creation, Power and Truth: The Gospel in a World of Cultural Confusion (London: SPCK, 2013),68. 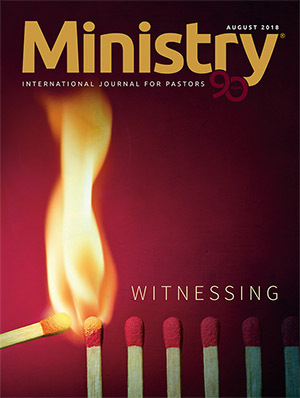 5 Zane Yi, “Through a Glass Darkly: Speaking of Truth in Post-Modern Times,” in Narrative, Meaning, and Truth: Fulfilling the Mission in Relativistic Contexts, ed.Kleber D. Gonçalves and Bruce L. Bauer (Global Mission Centers, General Conference of Seventh-day Adventists, 2017), 111. 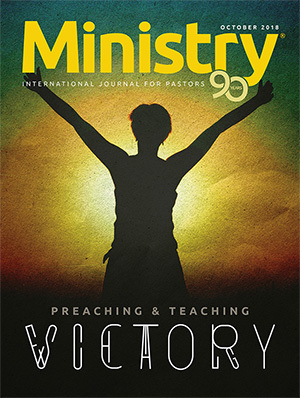 6 Gary Krause, “Seeking the Shalom: Wholistic Adventist Urban Mission and Centers of Influence,” Journal of Adventist Mission Studies 10, no. 2 (2014):50. 7 James Emery White, Meet Generation Z: Understanding and Reaching the New Post-Christian World (Grand Rapids, MI: Baker Books, 2017), 72. 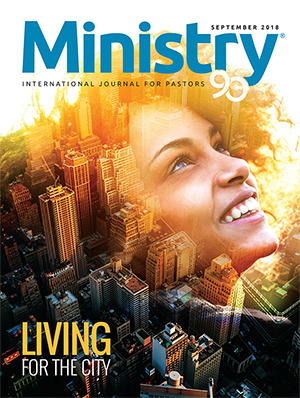 8 Skip Bell, “Christ in the City: A Brief Theology,” Journal of Adventist Mission Studies 10, no. 2 (2014): 102. 9 Kleber de Oliveira Gonçalves, “A Critique of the Urban Mission of the Church in the Light of an Emerging Postmodern Condition” (PhD dissertation, Andrews University, 2005), 226. 10 Kleber D. Gonçalves, “Missional Models of a Church for Postmoderns in Urban Contexts,” Journal of Adventist Mission Studies 10, no. 2 (2014): 87. 11 Stanley E. Patterson, “Framing the Gospel for the Relational Context of Postmodernism,” in Narrative, Meaning, and Truth, 43. 12 John D. Caputo, What Would Jesus Deconstruct? The Good News of Postmodernism for the Church (GrandRapids, MI: Baker Academic, 2007), 137. 13 Jean-François Lyotard, The Postmodern Condition: A Report on Knowledge (Minneapolis, MN: University ofMinnesota Press, 1984), xxiv. 14 Millard J. Erickson, The Postmodern World: Discerning the Times and the Spirit of Our Age (Wheaton, IL:Crossway Books, 2002), 103. 15 Wright, Creation, Power and Truth, 66. 16 Curtis Chang, Engaging Unbelief: A Captivating Strategy from Augustine and Aquinas (DownersGrove, IL: InterVarsity, 2001), 26. 17 Abigail Doukhan, “Christianity for Postmoderns: From Metanarrative to Storytelling,” in Narrative, Meaning, and Truth, 37. 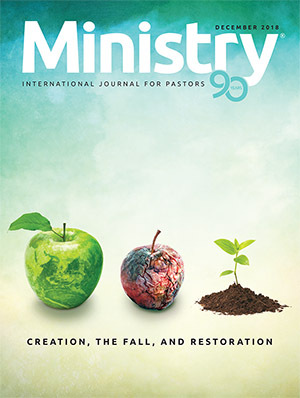 18 Richard W. Sessoms, Leading With Story: Cultivating Christ-Centered Leaders in a Storycentric Generation (Pasadena, CA: William Carey Library, 2016), 43.